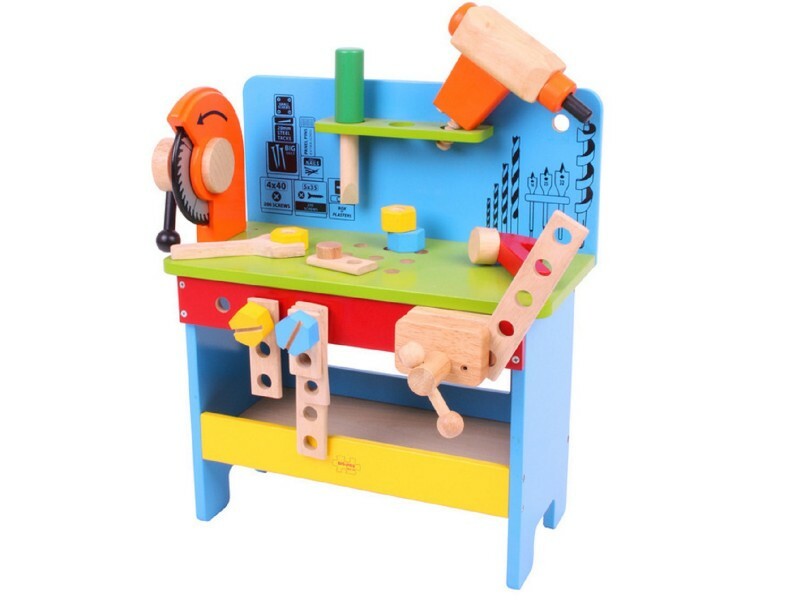 This magnificent wooden power tools workbench from BigJigs is a serious piece of kit for children who love playing with wooden tools and working on pretend construction or repair projects. 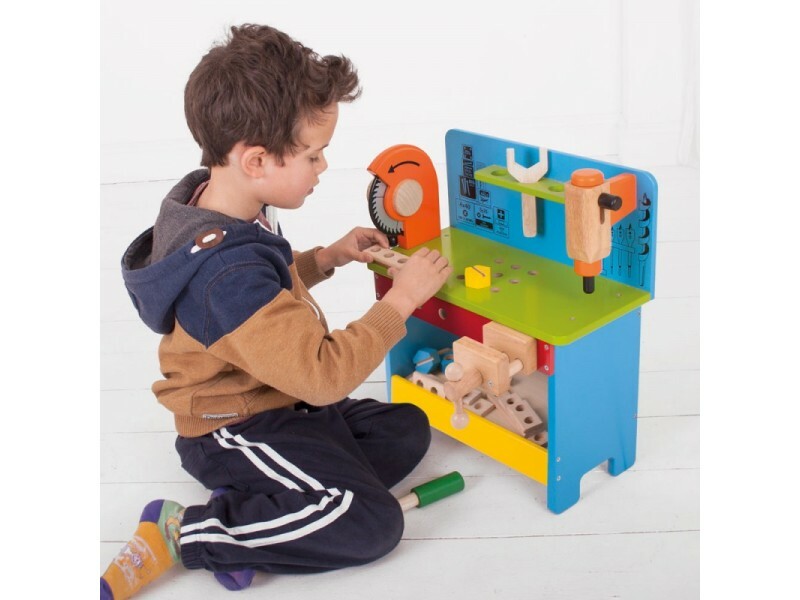 This wonderful wooden bench is crammed with brilliant play tools, including a circular saw, power drill, clamp, hammer, chisel and spanner. There is plenty of space for working on the workbench and for storing useful bits and bobs underneath. 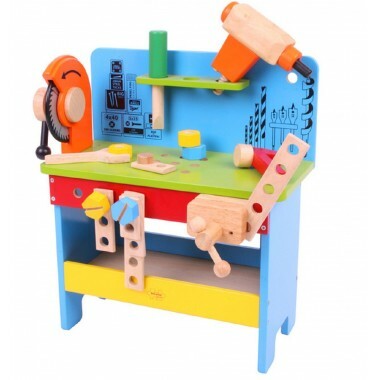 The bench also comes with colourful pieces of wood and nuts and bolts which are ideal for working on. 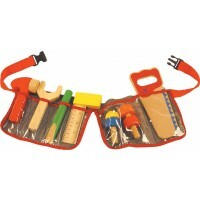 Wooden tools and construction toys help children to learn about planning and problem solving. 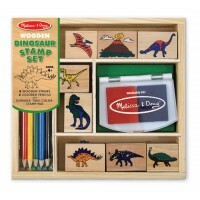 They also promote improved coordination and dexterity. Most of all though, they are lots and lots of fun! Bench dimensions: L39cm x D17cm x H45cm approx.